Don’t prescribe opioids for treatment of chronic or acute pain for workers who perform safety-sensitive jobs such as operating motor vehicles, forklifts, cranes or other heavy equipment. The use of both strong and weak opioids has been consistently associated with increased risk of motor vehicle crashes as opioids produce sedation and hinder or impair higher cognitive function. Evidence suggests higher risk with acute opioid use, but risk remains elevated throughout treatment with any opioid and reverses on cessation. Workers who operate motor vehicles/heavy equipment should be precluded from performing these or other safety-sensitive job functions while under treatment with opioids. Don’t initially obtain X-rays for injured workers with acute non-specific low back pain. X-ray is unnecessary for the initial routine management of low back pain unless red flags are present. Even when red flags are suspected, it should not be mandatory to order an X-ray in all cases. There is also no reason, either medically or legally, to obtain low back X-rays as a “baseline” for work-related injuries. Don’t order low back X-rays as part of a routine preplacement medical examination. Preplacement medical examinations are conducted to determine an individual’s ability to perform the job’s essential functions. Routine low back X-rays are costly, result in unnecessary radiation exposure, do not address the worker’s abilities and do not predict future injuries. Don’t routinely order X-ray for diagnosis of plantar fascitis/heel pain in employees who stand or walk at work. As the diagnosis of plantar fasciitis is in most cases evident from the worker’s history and physical examination, X-ray is not recommended for routine evaluations for plantar fasciitis except in cases where a serious underlying medical condition is suspected, e.g., fracture, infection, etc. Don’t routinely order sleep studies (polysomnogram) to screen for/diagnose sleep disorders in workers suffering from chronic fatigue/insomnia. Workers who suffer from fatigue, but do not have other sleep apnea symptoms (e.g., waking with a very sore or dry throat, loud snoring) or risk factors (obesity, neck diameter, fullness of soft tissues in the oropharynx, etc. ), may not need a polysomnogram (sleep study). While a polysomnogram is an essential tool in diagnosing many sleep disorders, it is not usually necessary in assessing insomnia. If lack of sufficient sleep or the job schedule is affecting the patient’s sleep patterns, then behavioral modification and attempts to modify the sleep schedule and improve sleep hygiene should be attempted first. 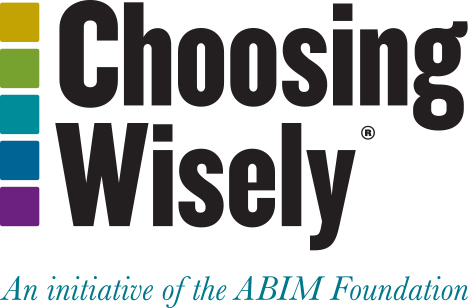 The American College of Occupational and Environmental Medicine (ACOEM), representing nearly 4,500 physicians who specialize in occupational and environmental medicine, is proud to support the Choosing Wisely® campaign. Founded in 1916, ACOEM is the nation’s largest medical society dedicated to promoting the health of workers through preventive medicine, clinical care, disability management, research and education. ACOEM members are leaders in treating job-related diseases, recognizing and resolving workplace hazards, instituting rehabilitation methods and providing well-managed care. ACOEM sponsors the annual American Occupational Health Conference, the nation’s largest conference of its kind, and periodically issues position papers and reports that set practice guidelines for a variety of workplace/environmental settings. ACOEM publishes the monthly Journal of Occupational and Environmental Medicine and sponsors the Corporate Health Achievement Award to recognize the finest health programs in North American companies. ACOEM has also established a Code of Ethical Conduct to guide occupational and environmental physicians. Through efforts such as our strategic partnership with the Choosing Wisely® campaign, ACOEM is pledged to advancing the principles of evidence-based care to deliver quality outcomes for patients. For more information or questions, please visit www.acoem.org. The American College of Occupational and Environmental Medicine (ACOEM) routinely develops evidence-based clinical practice guidelines to assist physicians in improving or restoring the health of those workers who incur occupationally related illnesses or injuries. ACOEM’s Practice Guidelines, developed by expert panels, are the gold standard in effective treatment of occupational injuries and illnesses and are the only evidence-based guidelines that focus on returning employees to work within 90 days of an injury or illness. In addition, the College promotes the high-quality practice of occupational and environmental medicine (OEM) through the publication, via the scientific peer-reviewed Journal of Occupational and Environmental Medicine, of position statements and guidance documents relevant to the field. These documents are developed by ACOEM task forces made up of physician member volunteers and are approved by the Board of Directors. After input from ACOEM leaders and approval from the Board of Directors, five topics were selected from the Practice Guidelines and the ACOEM position paper on fatigue risk management in the workplace for this campaign. The position paper and the methodology for the development of the Practice Guidelines are available at www.acoem.org. ACOEM’s disclosure and conflict of interest policy can be found at www.acoem.org. Weiss MS, Bowden K, Branco F, et al. Opioids Guideline [Internet]. In: Hegmann K, ed. ACOEM’s Occupational Medicine Practice Guidelines. 3rd ed revised. Westminster, CO: Reed Group Ltd. Forthcoming 2014 March. p. 11. Talmage J, Belcourt R, Galper J, et al. Low back disorders. In: Hegmann K, ed. Occupational Medicine Practice Guidelines. 3rd ed. Elk Grove Village, Ill: American College of Occupational and Environmental Medicine; 2011. p. 336, 373, 376–7. Talmage J, Belcourt R, Galper J, et al. Low back disorders. In: Hegmann K, ed. Occupational Medicine Practice Guidelines. 3rd ed. Elk Grove Village, Ill: American College of Occupational and Environmental Medicine; 2011. p. 377. Haas N, Beecher P, Easly M, et al. Ankle and foot disorders. In: Hegmann K, ed. Occupational Medicine Practice Guidelines. 3rd ed. Elk Grove Village, Ill: American College of Occupational and Environmental Medicine; 2011. p. 1182. Lerman SE, Eskin E, Flower DJ, George EC, Gerson B, Hartenbaum N, Hursh SR, Moore-Ede M; American College of Occupational and Environmental Medicine Presidential Task Force on Fatigue Risk Management. Fatigue risk management in the workplace. J Occup Environ Med. 2012 Feb;54(2):231–58.